We are happy to announce our Laser Engraving services for gold, silver, platinum, stainless steel, other metals and alloys. With creative and artistic graphic designers available to bring your ideas to reality. We can custom laser engrave custom logos, graphics and text. 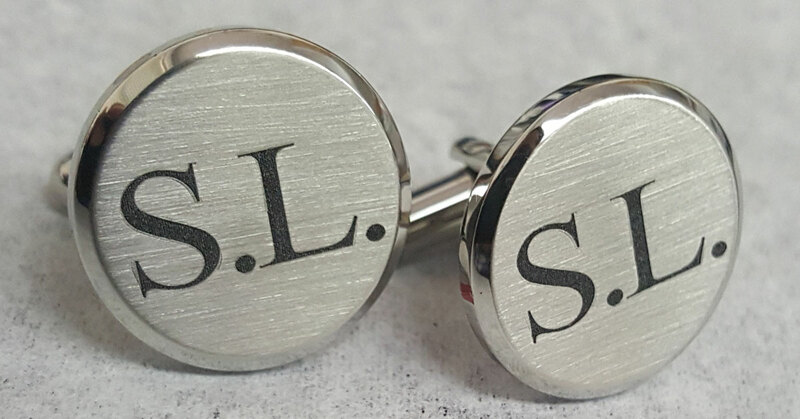 Laser Engraving is perfect for that special memento, anniversary, milestone, wedding or commemorative event. Use our form to request laser engraving for your jewelry or call our store at (213)627-7478. 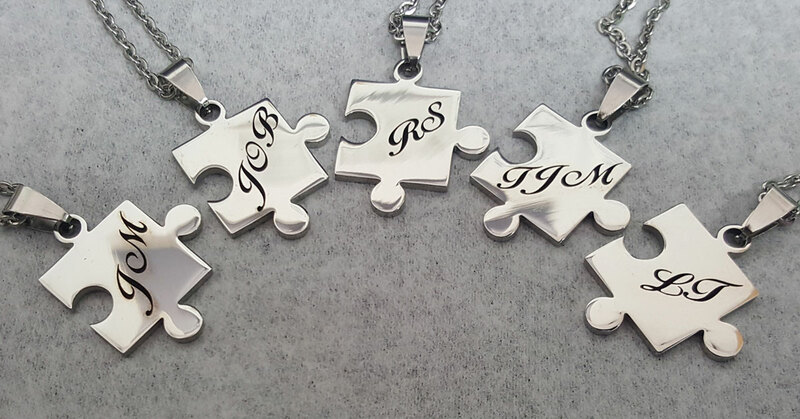 Puzzle pendant set with engraved intials. 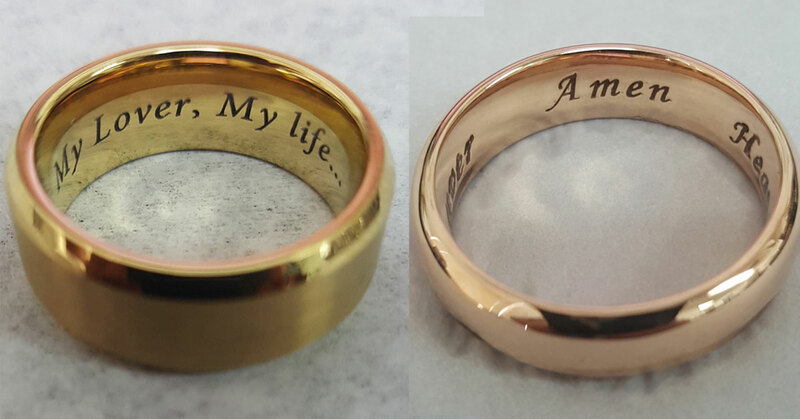 Rings, engrave a personal message on the inside or outside of the ring. 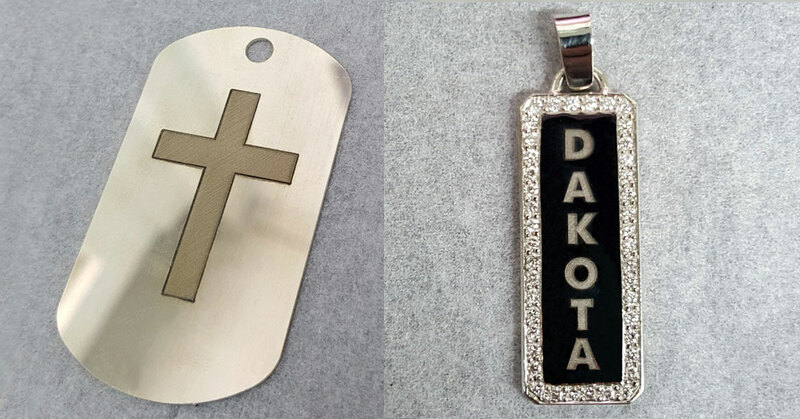 Pendants, engrave graphics, logos, names or initials.